Are you familiar with the brand Silk’n? I only had a vague memory of seeing an advert somewhere but I didn’t know the extent of their product line. Back in May I attend the press launch for their new home Lipo gadget. It was a breakfast event. During breakfast attendees were briefed on how the product works. The Lipo is uses laser technology to reduce fat from bum, legs, arms and waist. I didn’t have the opportunity to trial the product. However, I was gifted Silk’n’s Fresh Facial Cleansing Brush which I’ve been using for the past month. I have sensitive mature skin that’s prone to dryness, congestion, and the odd adult pimple. Facial brushes are amazing for giving my skin overall brightness. They are so good; it’s easy to overdo it but that can lead to irritation and dryness. Personal choice, I tend not to use a facial brush daily. 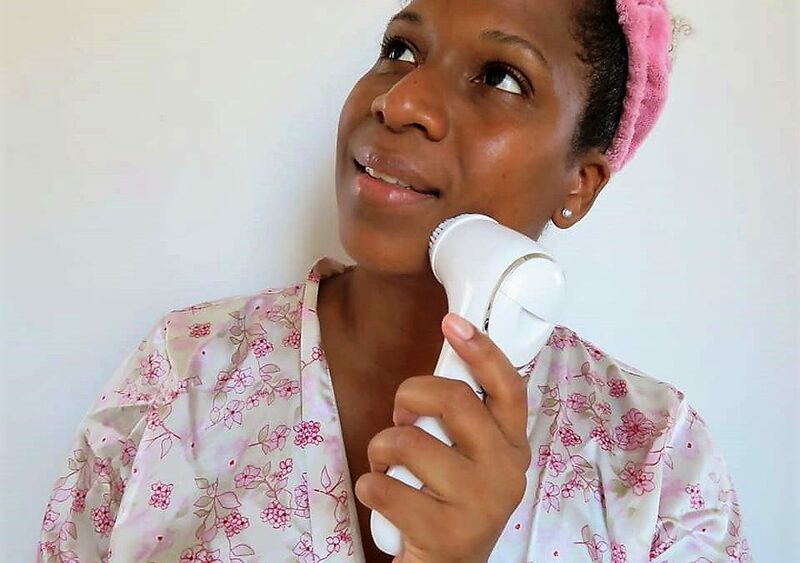 It’s about a year since I last used a one and I was looking forward to using Silkn’s Fresh Facial Cleansing Brush because it’s such a nifty gadget. So, what makes Fresh so special? 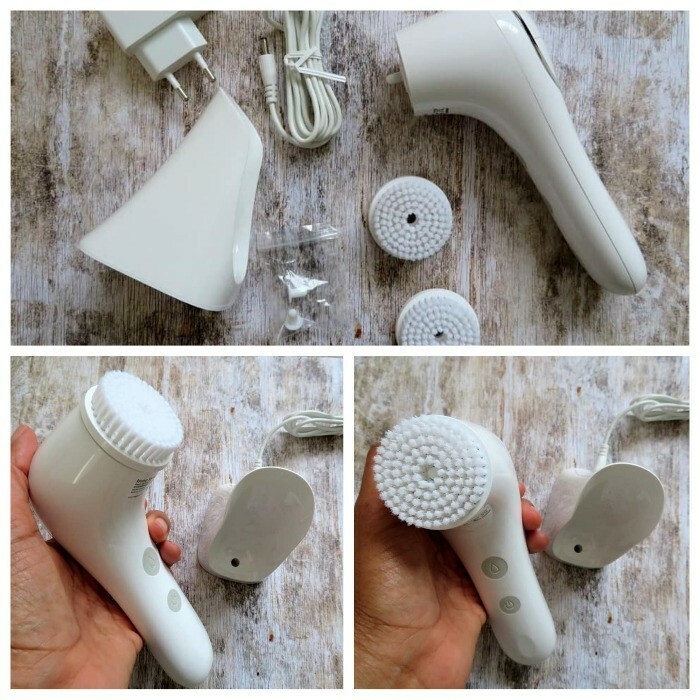 Well, for starters It has an integrated face wash compartment which holds enough cleanser for up to 30 treatments, its patented vibration technology, waterproof with up to 50 uses per charge. Week 1, I used it every night for 7 days. Week 2 I used it every other day. Weeks 3 and 4 I used it once per week. For the entire trial my cleanser of choice was a budget cucumber facial gel. Fresh as four settings; two vibrating options of varying intensity and two vibrate and pulse of varying intensity. I usually used the low vibration then switched to the quicker pulsing setting. The latter was great for exfoliation and was quite relaxing for my face. It felt my day stress was being buffed away. The results were just what I was hoping for; my skin felt supple and smooth with a lovely natural brightness. I especially enjoyed using it on days when I’d worn makeup for deeper cleaner. Fresh is now part of my updated skin care regime. I love my fresh-faced look, not bad for 44 years I say. If you are curious Silk ‘n’s Lipo check out the video below. It can be purchased online from Amazon RRP£449. Visit Silk’n website for more information on all their products.